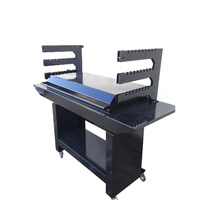 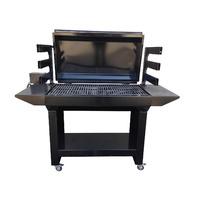 The Australian Made 3 Tier Chain Driven Rotisserie and Charcoal Grill is a larger style Cyprus Grill unit, made longer and wider than the regular sized Cyprus Grill. 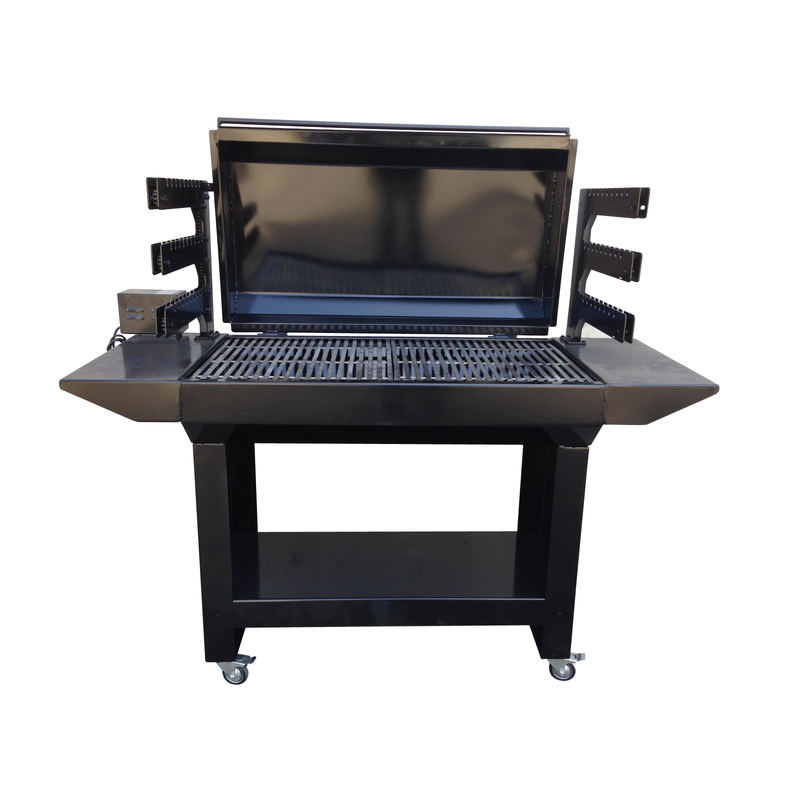 It is designed cater for larger gatherings, and is the perfect solution to cook most meat types including beef, lamb, chicken, goat and pork. 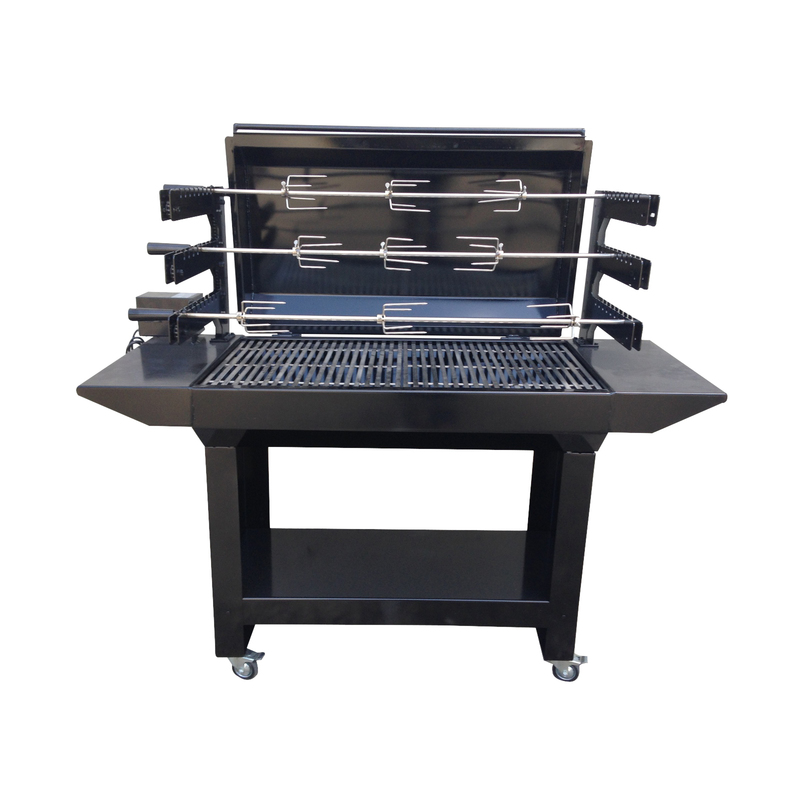 The heavy duty large metal construction and chain driven design allows for high usage, and its size allows you to cook for a large number of people in a quicker time than the smaller models in the range. Designed and manufactured to our custom specifications here in Sydney Australia. 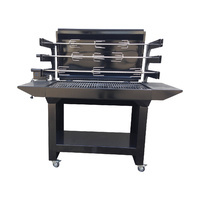 Three Tier Cooking System: On this model there are three levels of skewers, with each level allowing nine skewers to cook your meats. 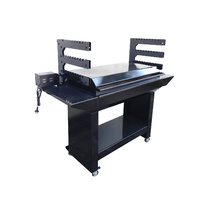 This allows you to cook more than one different type of meats at one time, and because some meats cook at a lower temperature than others, the top levels allows that lower temperature to occur, as it is further away from your charcoal. 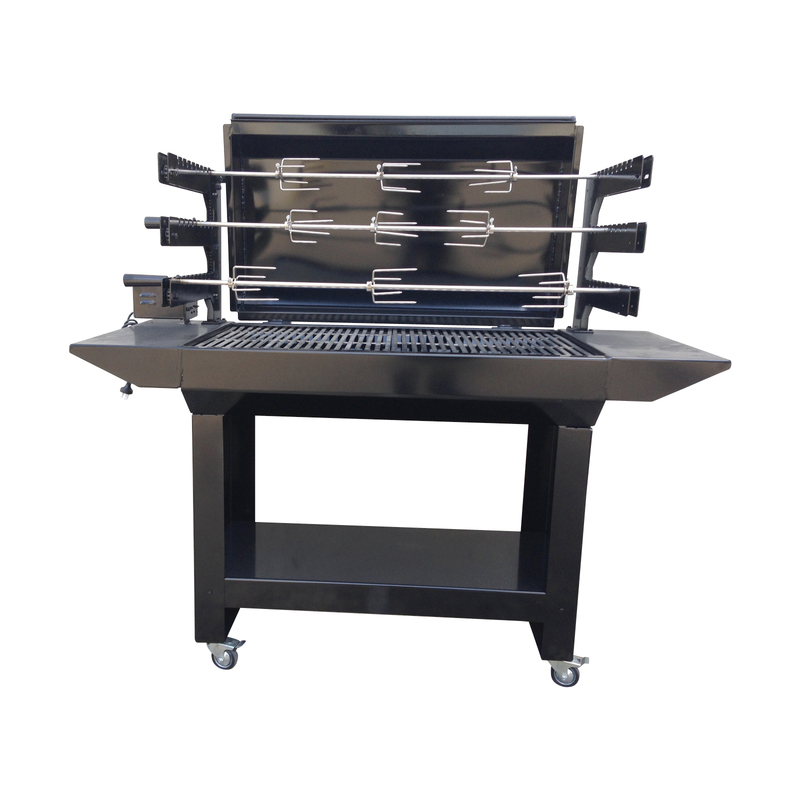 Having three levels of skewers is also beneficial as it will allow you to cook more meat in a quicker time than the smaller models. 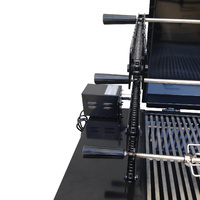 ​Wheel Design: This model also features a wheel design, which allows quick and easy transportation of your Cyprus Grill if you need to move it from place to place, or if you experience bad weather whle cooking. 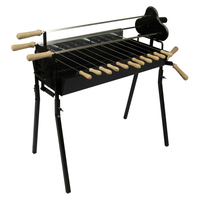 ​​Heavy Duty 40kg Variable Speed Motor: This Grill comes with a heavy duty 40kg variable speed motor with a cooling fan. 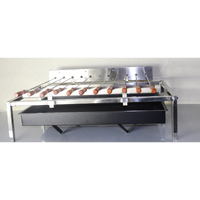 This will ensure you can be cooking on all three levels of skewers at one time, increasing your cooking output considerably. 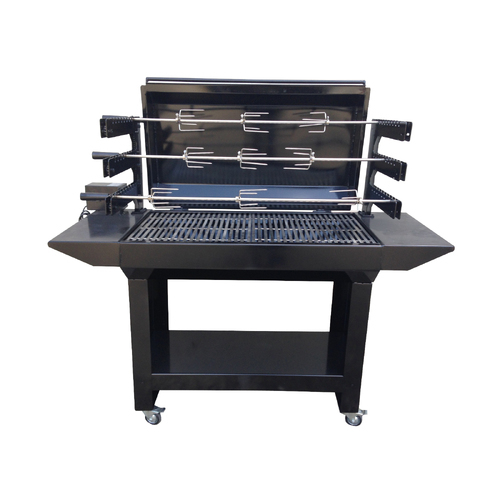 Tough and Durable Frame and Base: This grill comes with a steel frame and base, which will stand the test of time and provide you with many years of great cooking. 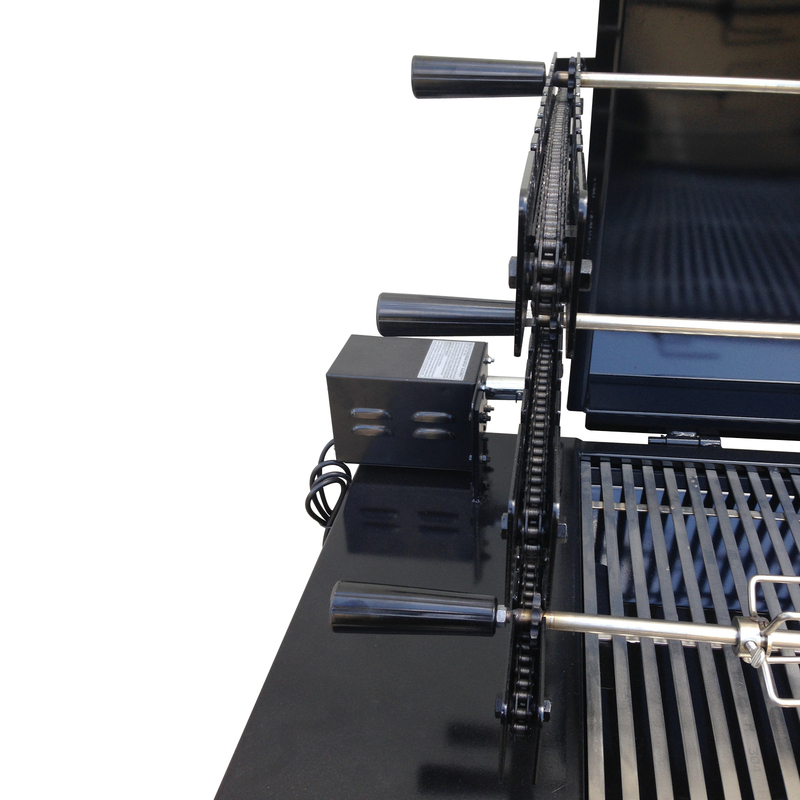 ​Raisable Hood: This particular model comes with a raisable hood, allowing you to keep it closed when not in use. 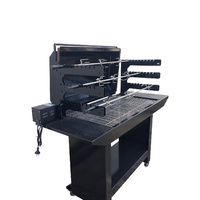 This is a Custom made Item, 2-3 Weeks to be made to order.